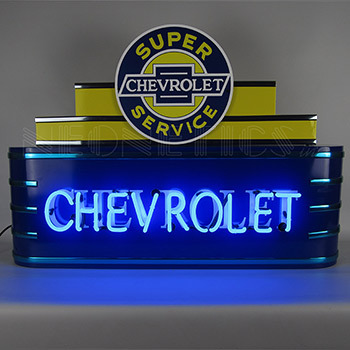 Art Deco Marquee Chevrolet Neon Sign In Steel CanI dont have a picture of the sign I purchased. I got it as a gift from some friends that own a new Mexican Restaurant in town. It is the best looking neon sign (quality and all) that they have up in their front window.